John and I have both grown up with amazing role models when it comes to gardening, with his dad and my gran both having amazingly green fingers. Although neither of us can claim to be anywhere near as good, we do like to have flowers growing and try to grow our own fruit and veg too. Squidgy has caught the gardening bug, so when GBC Group asked me to take part in their Grow Your Own campaign for National Gardening Week it was a no brainer. Squidgy loves to read books, and one of her favourites is The Hungry Caterpillar. We have everything from a giant one with a plush caterpillar you can push through the holes that we picked up in London to a finger puppet one that teaches numbers. 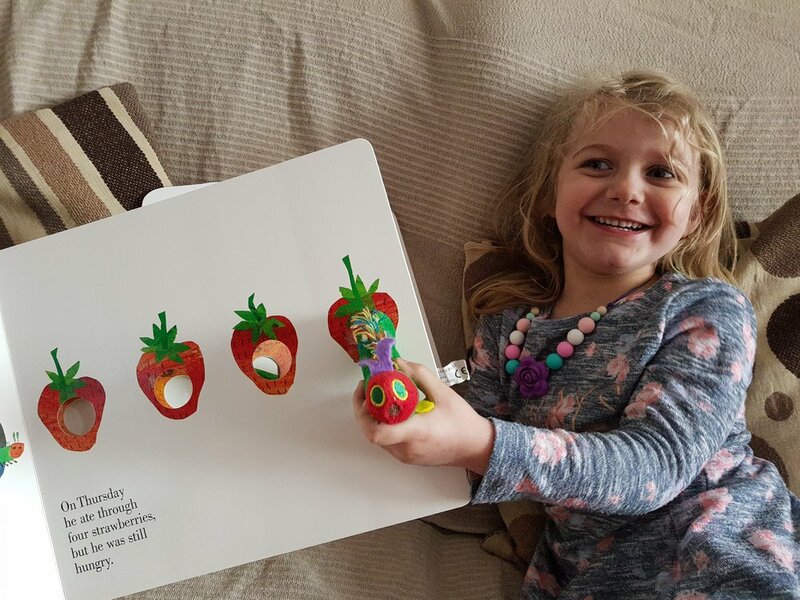 Reading books is a great teaching method, especially when it comes to teaching children about different types of food and where it comes from. Starting a conversation with your children about food and where it comes from is easy if you are involving them in the prep of making their favourite meal using those ingredients. From making strawberries and cream and talking about strawberry plants, to creating spaghetti bolognese and talking about where meat comes from there are so many opportunities for talking about gardening whilst coking up a storm together. Playing is one of the best ways to learn, and this could not be more true than when it comes to learning about food and growing their own. We have Melissa and Doug wooden food which makes a great talking point and is of course easier to clean if you decide to use them for messy play more! 1. It's a good excuse to get outside! Everyone knows how important Vitamin D is to our bodies and the best source is the sun. Gardening is a great way to get your children outside and enjoying the sun, all the while soaking up the all important Vitamins they need. From muscle growth and strengthening to coordination, gardening is a great way to help your child grow in a healthy fun way whilst learning new skills they will take away for life. 3. Gardening encourages a healthier diet. Growing your own food is a cheaper, more fun way of maintaining a healthy diet. There are so many easy to grow fruits and veggies that your children will love to grow; and once they're grown to eat! Simply planting the seeds and labelling the pots is not the end of the experience for your children. Their new plants will need watering and caring for, allowing your children to learn valuable life lessons in being responsible. 5. Gardening is a great way to bond as a family. Spending time as a family doing any activities can only ever be a good thing, and this is definitely the case for gardening. 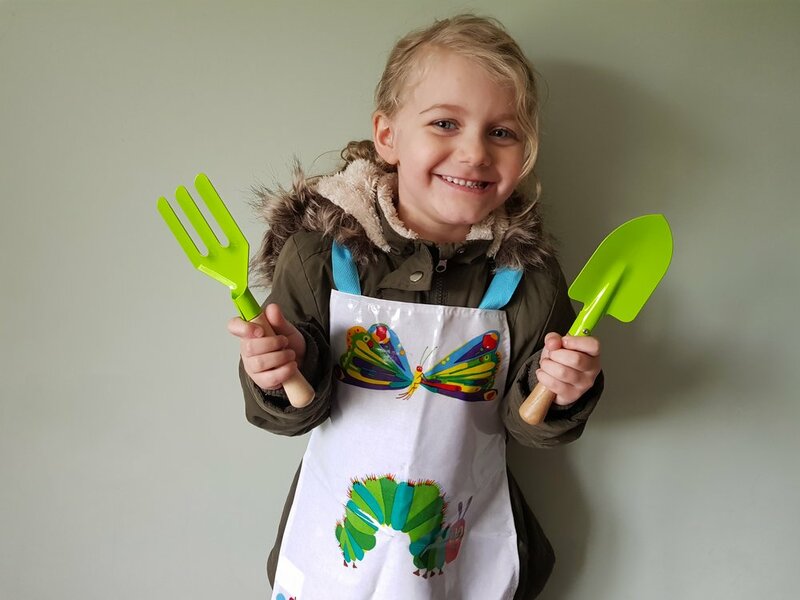 From the opportunity to have fun and get messy to teaching and learning, there are so many ways that gardening can help you bond with your children, and they with each other too. I am so grateful for the sunshine that we have been lucky enough to be enjoying, and the fact it has given us a chance to get outside for visits to the park and of course get growing in our garden too. Now its your turn. If ever there was a good excuse to get shopping and getting out in the garden with your children, National Gardening Week couldn't be a better one! Disclaimer: This post is written in collaboration with GBC Group published for their Grow Your Own Campaign for National Gardening Week. Photos are copyright property of Me Becoming Mum.